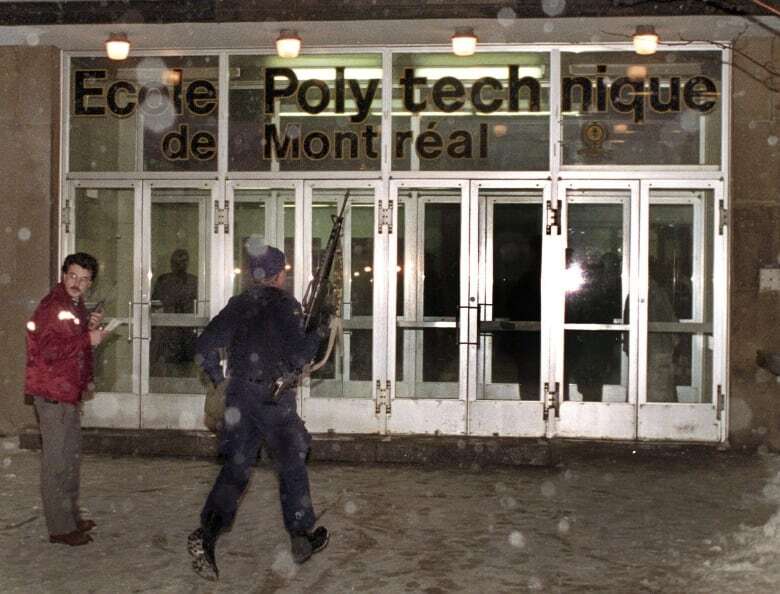 Twenty eight years ago today, 14 women were killed in a shooting at the École Polytechnique in Montreal. As It Happens spoke to a survivor the very next day. 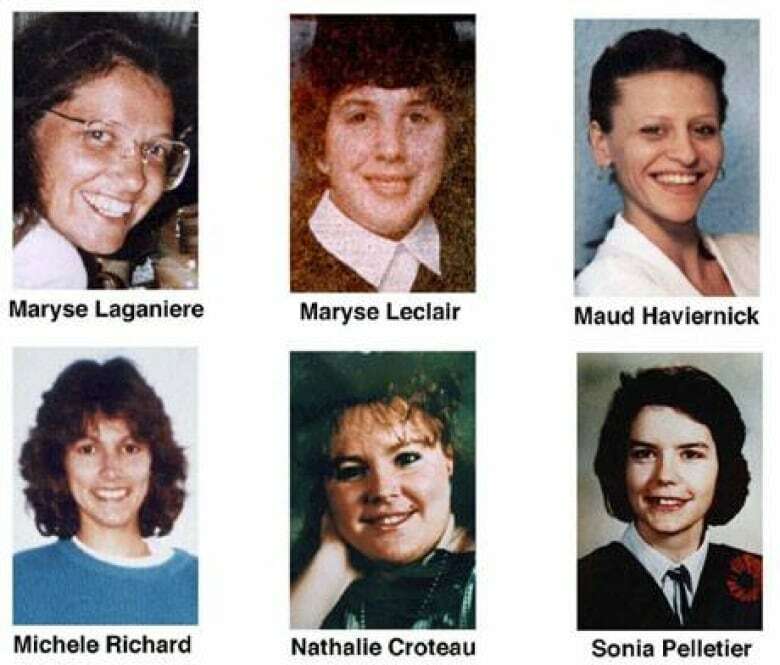 Twenty eight years ago today, 14 women were killed in a shooting massacre at the École Polytechnique in Montreal. 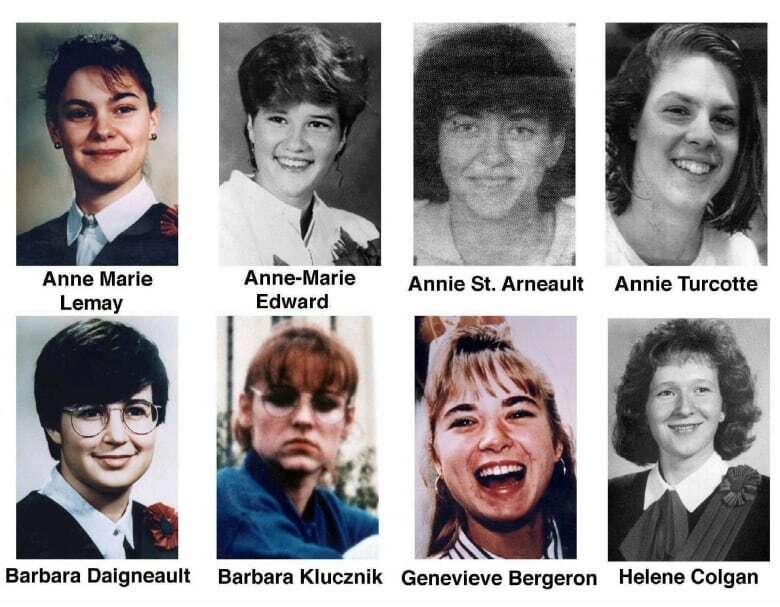 The killer, Marc Lépine, specifically targeted women at the school, claiming feminists had ruined his life. Genevieve Cauden was in the second classroom that he entered. She was shot, but survived. She spoke with As It Happens the very next day about what she saw. Here is her conversation with then-host Michael Enright 28 years ago. Have you managed to get any rest at all? No, no. I just sleep two hours. It's not really sleep, you know. 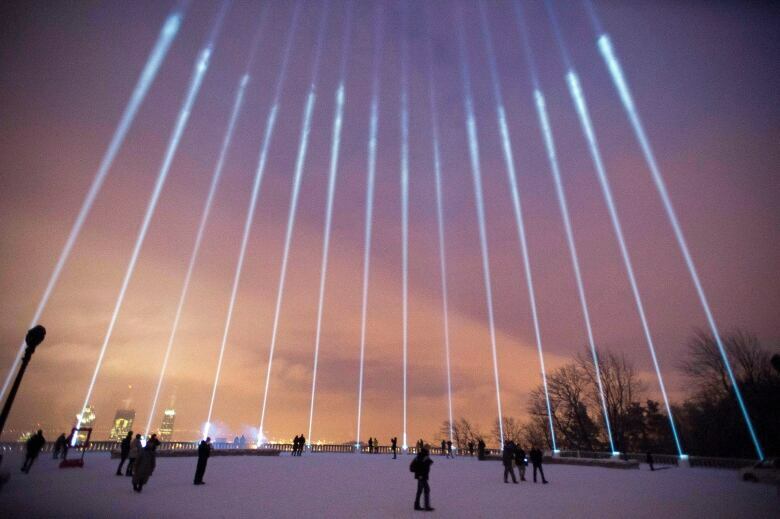 You were in the classroom in the École Polytechnique last night. What happened where you were? We were in the class and three [students] were at the front talking. And we hear shots and we hear people scream, but we thought it was a joke. After, a guy came into the class. He seemed to be really normal. He said to the three people at the front to go with us and he said that it was real, it was not a joke. And then he told you what? He just said to us that it was real, it was not a joke and then all the people go on the floor. We all go on the floor and we go under the desks. After, he shot people. He shot girls. I just closed my ears and closed my eyes. I didn't want to know what's going on. I received a shot in my head … but it's not bad. It's OK. It just grazed your head. After, the guy killed himself. Did you see him shoot himself? No, we were under the desk and I didn't see anything. The teacher said to us to go out of the class and don't look at the front of the class where the guy was. Just said to go out of the class. You had your eyes closed. How did you know he shot himself? How did you know it was over? Because the teachers tell us. And he was shooting at the girls in your class. Yeah. When I was on the floor, I didn't know he was killing the girls. But now I know because I have four of my friends who are dead. And we were only eight girls in the class. And four of your friends are dead. And one is at the hospital really bad. Yeah, that's it. And the two others are all right. Genevieve, did he say anything at all while he was doing this? No, no, no. He didn't say anything. Were there any men in your class when he came in? We were 25 students — so eight girls, 17 boys and two teachers. Two [male] teachers. How did he tell the boys to leave the room? All the people got on the floor. Nobody got out of the class. He just picked out the girls and shot them. What did you do when you got up, when you knew that he had killed himself? A friend helped me and I just see one of my friends and she was in blood. There was a lot of blood. And my friend helped me to go out of the class. The four girls, your friends that he killed, were you close to them? Some yes and others no. But I know all of them because we are a small group. We know each other a lot. When you were lying under the desk and you had your hands over your ears and you had your eyes closed, did you think about your friends when he started shooting? Were you thinking about yourself? No, about my friend. Because one of my friend on my side start to scream and cry and all of this. But I didn't want to see this, because I knew I was not ready to see. 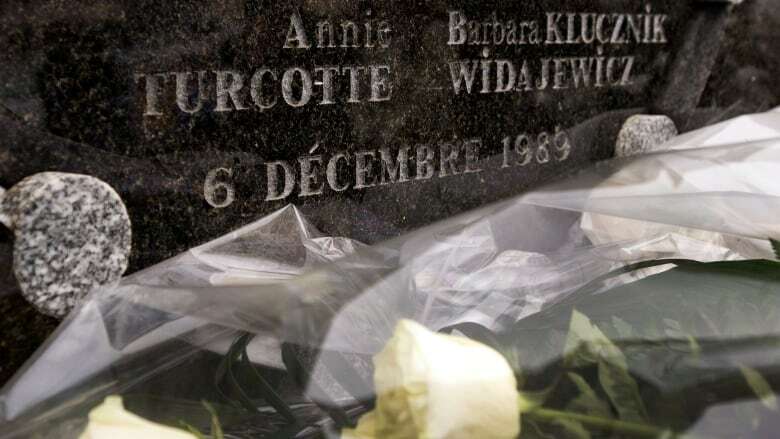 You knew that the girl beside you, your friend, had been shot. I knew. After, I just closed my ears and closed my eyes and stay there. Then he shot me. And I was afraid but I knew that I was better to stay there than to move because I would be killed also. So, I stayed there only. How old are you Genevieve? Today, when you walk around and you talk to people and you have a cup of coffee, what do you think about? What are you feeling? I think it's like a dream. A bad dream. But I know it's true and I don't realize. Maybe when I come back to school and I see that friends are missing, I'll understand. Why did it happen, do you think? In that classroom? I don't know why in that classroom, I don't know why in that school and I don't know why then and at this moment. It's not all people who are thinking like that. So, there are some people who are not accepting that. But I don't know why he killed. Maybe he could say to ... everyone that he doesn't like the girl. That he doesn't like women? Yeah, that's it. But why he killed them, I don't know. This interview has been edited and condensed for clarity. For more, you can listen to Michael Enright's interview with Genevieve Cauden​ above.